So how do you sell a standalone clock in a time when almost every electronic device already has one built in? You turn it into a magnificent piece of art like this Shadowplay clock that uses shadows from a pointed finger as its hour and minute hands. 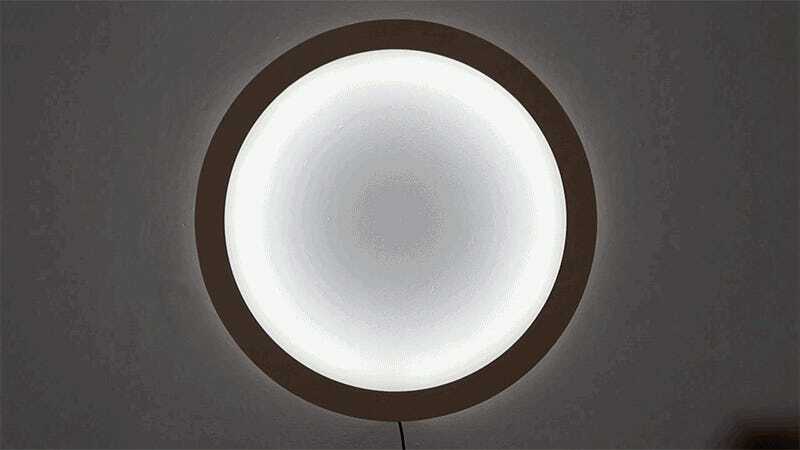 A ring of LEDs around the clock’s frame gives it an ethereal glow when you’re not interacting with it. But touch your finger to the center of its featureless face and only the LEDs needed to display the current hour and minutes will illuminate to produce a pair of shadow hands. There’s no word on whether the Shadowplay’s creators, design studio Breaded Escalope, plans to mass-produce or sell the clock. But since it was made with pretty basic electronic components including LEDs and an Arduino, building one of your own could be a fun weekend challenge.